After conducting a detailed analysis of three years’ worth of construction fatality information, the Associated General Contractors of America unveiled a series of recommendations aimed at improving safety for workers on jobsites in Texas and across the nation. 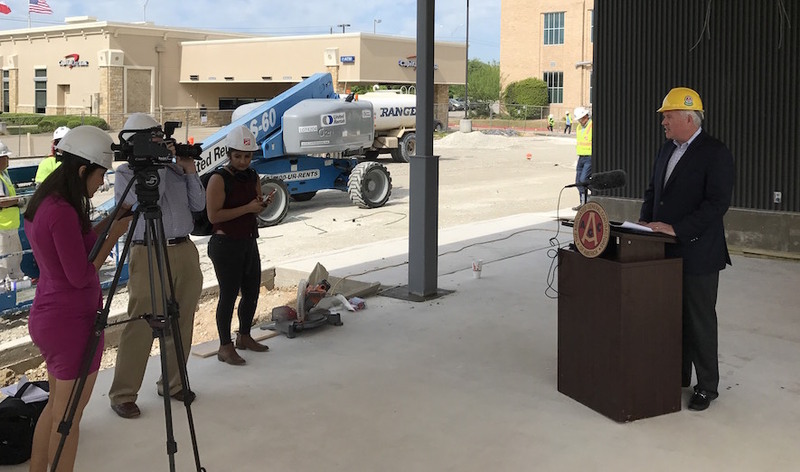 Speaking in Austin this month, AGC of America CEO Stephen Sandherr said contractors throughout Texas "have been particularly successful in improving workplace safety." In fact, Texas had the 17th largest decline in its construction fatality rate of any state between 2008 and 2015, Sandherr said, adding that in 2015 Texas had the second lowest construction injury rate of any state. "While we are making progress, any number that doesn’t start and end with zero is too high," Sandherr said. 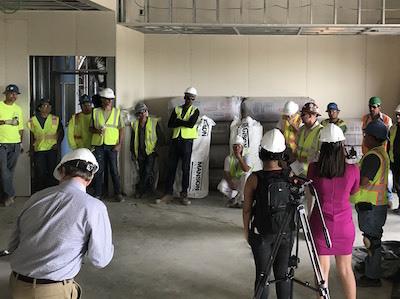 "That is why the Associated General Contractors of America partnered with the Myers-Lawson School of Construction at Virginia Tech to undertake a comprehensive study of every construction fatality that took place over a three-year period." “For example, while prior research indicated most construction fatalities occur in the morning, in fact noon is the deadliest hour in construction." Sandherr said that's why the association is now advising construction companies to look at doing their safety talks and stretching sessions when workers return from the 11 a.m. to noon lunch breaks. "The bottom line is the best safety programs are grounded in hard data and good research, not bad assumptions and exaggerations designed to support a particular political or social agenda," Sandherr said. "No wisdom or insight should be proprietary when it comes to the safety of construction worker," he said. "We all share a common goal: getting to zero construction fatalities." As the safety study was unveiled, AGC also noted big job growth in construction in Austin. Construction employment in the Austin-Round Rock metro area increased by 1,800 jobs, a six percent increase, between February 2016 and February 2017. "That puts Austin in the top third out of 358 metro areas nationwide when it comes to the highest percentage increase in construction employment. Today there are 33,500 people working in construction in this metro area, up from 31,700 a year ago," Sandherr said. "All told, more than 239 metro areas added construction jobs during the past year, including the Dallas and Fort Worth metro areas." You can download the entire 30-page report below.